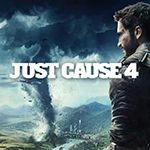 Publisher: Sony Computer Entertainment Europe Ltd. I must say (and no offence), I think the shots of the cars in action are more appealing then the simple side shots. I agree, but they also take more time to be made. I'll probably do that for the games that I listed when I will have time, and move the "boring" shots in the comments. Yes, hopefully they shall be replaced in time. I added a selection of replay shots as you can see which benefit the submission in my opinion. Is this all the cars? Where's the Ford Taurus SHO and Toyota Sprinter Trueno (AE86)? laaterr, i have no time for this by now. I Really enjoy this game, still play it to this day. Oddly thinks its better than PGR and Forza. When i first played it, the game was so good it made me fall in love with the Playstation all over again. when play with the lower powered cars(such as the Momocourse MR2 And BP Apex Trueno), it was actually a achievement you could be proud of when you won. I must Get a new copy of this game. Sure I could probably get it cheap Now. Toyota 2000GT is very hard to find... As soon as I started my GT career it shows up in Toyota showroom but valued more than $1,000,000,000 so I just leave it and 6 days later, it's gone and never shows up again. How long have you played before you buy it? 150+ days in GT has been passed and I've never seen a Toyota 2000GT. Good times... Wanna play it again, unfortunately my PS3 and PS2 are connected so i can´t connect PSX. Uhh, put it in your PS2? First two were removed because PD hadn't license on them. Other ones are local cars (Honda Integra is for JP version only, Vauxhall is for EU version only). Quite possibly the best car line up I've ever seen in a video game. You have the chibi-esque Japanese superminis like the Honda Z and Mitsubishi Pajero Mini, all the way to fearsome exotics, like the Saleen SR and Venturi 400. Any other games' carlists have nothing on GT2. Games like Forza 4 or Enthusia also have a list full of variety, but yes, i think GT2 is still the game with the best car selection ever made. I mean...when it's the last time an Alfa 145, a Peugeot 406, a Citroën Xantia, a Renault Espace F1, a Dodge Avenger and an Intrepid, a Fiat Cinquecento and a Seicento, a BMW 750 and a 8 series (and a lot more cars...) were seen all together in a game? Not counting games like The Getaway, of couse, which is a whole different concept. BTW, should we add the Race Modifications for each car on this game? GT5 has RMs uploaded. Hello? I need an answer here. I don't want to waste any time if they aren't allowed. But if I am able to upload them, this will be the biggest page in IGCD. ItsaUserName wrote BTW, should we add the Race Modifications for each car on this game? GT5 has RMs uploaded. Doubt it. You'll still have the same car but with a different paintjob and a spoiler. Well I'll try adding them anyway, but if they are rejected, then I'll post the Race Mods as responses to the car you have to modify to obtain it. Probably one of the best racing games ever made! This is my favorite PS1 game ever! BTCC is British Touring car Championship. Added a race mod for the 1999 Taurus. Please accept it. Ok, that's it. I'm not gonna bother adding them as they're just gonna get deleted, but who here thinks cars such as these should have separate pages? And if Dear Leader disagrees, will I have permission to post them as "Interior Views"? What's the point in posting them at all. From what I understand they're racing modification for existing cars. Yes, but they take the form of several race cars, including BTCC and WRC competitors. Like I said, if they aren't allowed to be added can I atleast put them in as "Interior Views"? The RMs in GT5 are allowed so why not GT2? And don't forget the Saleens in Test Drive Unlimited. They're listed, but they have to be modified from normal Mustang GTs. I'll agree. Why not list them? ItsaUserName wrote Yes, but they take the form of several race cars, including BTCC and WRC competitors. Like I said, if they aren't allowed to be added can I atleast put them in as "Interior Views"? The RMs in GT5 are allowed so why not GT2? No. It's just modifications. For RM cars in GT5 it's different. The RM cars are real cars that you had to pay, you don't had to pay the normal car and modify it to have the RM. I'll say fine for now, but what about carcrasher88 just said? carcrasher88 wrote And don't forget the Saleens in Test Drive Unlimited. They're listed, but they have to be modified from normal Mustang GTs. Uh, correct me if I'm wrong but aren't the RMs acquired exactly the same way in GT5 as they are in this game - through modification? IIRC only in Prologue you had to buy them separately. ItsaUserName wrote I'll say fine for now, but what about carcrasher88 just said? If it's the case, we had to erase this saleen. Antti-san wrote Uh, correct me if I'm wrong but aren't the RMs acquired exactly the same way in GT5 as they are in this game - through modification? IIRC only in Prologue you had to buy them separately. ah yes so we erase them or we consider that it's real car because these are on the official list (not the case in GT2). Rinspeed wrote ah yes so we erase them or we consider that it's real car because these are on the official list (not the case in GT2). RM cars count as real cars on GT5, so they must stay. Do NOT erase them otherwise, you might have commited a mistake. WARNING- I'm telling the reality, not offending anybody. Sorry, but what does "on the official list" mean? Personally, I think we should list the Saleens in TDU and the RMs in GT2 and GT5. I think they are all sufficiently different from their "host" cars to warrant it. It's not like they are just randomly tuned and painted by the player, but complete packages. Which is my point. We include traffic vehicles from many games, and they aren't on the "official list", so to speak. *Bump* I will not let this discussion die. We need to be clear on this. We either go the whole distance and list the RMs in this game, or we don't, and delete the GT5 and TDU RMs. We can't leave it in the current situation as it isn't right. I agree. Practically every RM is based on some form of real racing car, sans some of the sponsorship decals on a few, so they deserve it. I don't see how GT5's can be classed as their own cars for having 'RM' next to them, yet GT2 can't, even though they have 'R' next to them; it's effectively the same thing. Forza had pre-order DLC cars which have nothing more than a new livery classed as their own too. Granted, doing all the race mods will take a while (what with all the used cars and the daily car cycles), but that would make a more complete list. Especially since some race mods are complete overhauls, like the Intrepid dragster. Exactly. And thanks to me having EPSXE and the wonderful tools known as Save States and Frame Limiting Off, getting a replay screenshot for each RM will take just shy of 5 minutes. All we need is the final verdict from Rinspeed. eggsbawcks wrote I agree. Practically every RM is based on some form of real racing car, sans some of the sponsorship decals on a few, so they deserve it. I don't see how GT5's can be classed as their own cars for having 'RM' next to them, yet GT2 can't, even though they have 'R' next to them; it's effectively the same thing. Forza had pre-order DLC cars which have nothing more than a new livery classed as their own too. I agree. The RM are based on real racing cars. For example, you have an Citroen Saxo VTS. If you put RM on it, then it will be converted for Citroen Saxo Kit Car. ItsaUserName wrote *Bump* I will not let this discussion die. We need to be clear on this. We either go the whole distance and list the RMs in this game, or we don't, and delete the GT5 and TDU RMs. We can't leave it in the current situation as it isn't right. i had already answered for my part. And you know that the official list don't list the include traffic but this isn't playable cars of a racing game. Since the beginning, we always said that we don't want tuned cars, but the original car. So for GT2, no (just paint job for me). And for the others i can erase them if it's the case. It's up to you. End of dicussion. It had a very extensive car and track list compared to the first Gran Turismo, but lost over time is the fact that it was also unfinished and buggy as well. I still remember being shocked that cars would merge together when they collided. Now it's seen as a classic, but back then it was rushed out to hit Christmas 1999 and could have used more polishing. 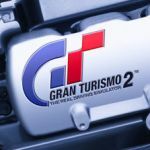 GroupB wrote It had a very extensive car and track list compared to the first Gran Turismo, but lost over time is the fact that it was also unfinished and buggy as well. I still remember being shocked that cars would merge together when they collided. Now it's seen as a classic, but back then it was rushed out to hit Christmas 1999 and could have used more polishing. The cars merged together? . Excuse me I will just be repeatedly crashing now. But the vibration here is nothing compared to the Forza Horizon series. The controller vibrates like CRAZY when you go really fast there. As for the cars merging together, I've seen them do this in GT1 as well. Probably because of the engine used for both games. And yes Burn Rubber, I'm sure you didn't know they could do this on GT1 as well. I'm sure you now have intentions on both games to crash repeatedly. I never noticed it in GT1, but it happened in GT2 on a regular basis. Don't forget the 100% completion bug as well. The 100% completion bug happened because drag racing, another event type that would have counted towards 100%, was removed so late. That's what the purpose of Dodge Intrepid's RM was supposed to be, as well as the HKS R33 and 180SX. Cant make my cars morph. . Tried a Tommy Kiara at 100 to 117 mph. I don't know why, but the Rover Mini Cooper "Monte Carlo" version has disappeared. If you do, one thing to be aware of: Arcade and Simulation Mode are on SEPERATE DISCS. I did Sim Mode first then did Arcade Mode. Everyone watch Thunder's lets play of this game. RKDxNT3000 wrote Everyone watch Thunder's lets play of this game. Plus, Race Modded cars are technically different cars. Although in the menu the picture with the name doesn't change, The car DOES receive a [R] in it's name that is only on RM cars. The reason why the menu doesn't change is because if they did it for all RM cars then they'd have to make seperate pictures (they are pictures yes) for every RM car when nobody really cares. Plus, RM cars get their own events in One Make Races. If you ask me, RM cars are different cars then their standard variants rather than just tunings. Sorry to beat a dead horse, But since I'm going to be re-doing a lot of these pages (Don't worry Rinspeed I'll still use your front shots) I figured I'd ask. If you're going to say no then plz don't get to mad at meh. Made a mistake on this car: igcd.net/vehicle.php?id=101981 I forgot to change the photo contributor to Rinspeed even though I used his photo. Feel free to fix it. Missing Datsun cars seen in the outro credits. Almost. The Acura cars from the North American release are missing and there are no RM's(Race Modifications) listed. Which they should. Indeed quite a bunch of rear shots are missing. Do you want us to play Saints Row 2 in coop and Burnout Revenge online to unlock special cars ? TrueCrime wrote Almost. The Acura cars from the North American release are missing and there are no RM's(Race Modifications) listed. Which they should. I'll help you on the Acuras lmao. If it helps of course. Why the RM's are not allowed is beyond me, as the Saleens in TDU were listed, but race modded cars are not allowed? Rear shots are good to be added, as well. Doesn't make sense for the rejections back in 2012-2013. It'd probably be better if the game actually ran on Bleem (more on that later). As for the "special cars" you mentioned, co-op in SR2 still works. Burnout Revenge, on the other hand, is probably not likely as EA has a tendency to cut servers often, so good luck with that. 7agner wrote Without McLaren F1?!?! Last time I checked, the F1 was only found on the North American cover of the game, albeit a dashboard one. Page generated in 0.130 sec.